ezClick provides a simple and efficient airport transportation service, operating 7 days a week between airport and hotel, and within resorts. 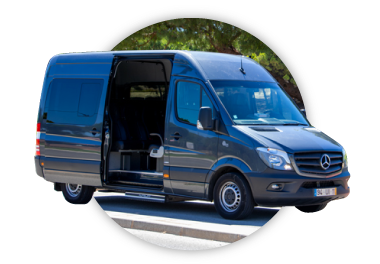 The aim of ezClick Transfers is a close relationship with each of our quests to provide a transport service in a personalised way. All our transfer services are private, with no hidden fees, assisted by a fluent English speaking driver with full knowledge of the region. 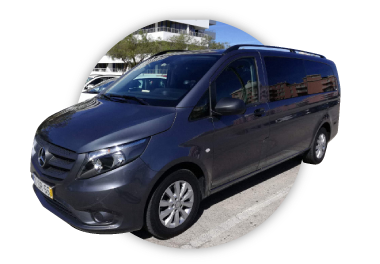 Private transfers operate according to the individual requirements of our quests who pay for a transfer to their specified destination. Vehicles may vary in type and size, depending on the number of people in a party. 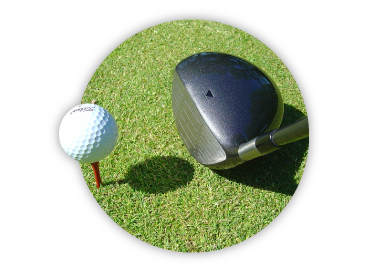 We provide for individual travellers, golf groups or corporate venues. 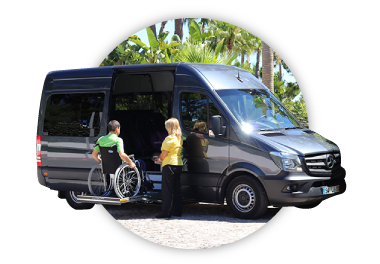 Our vehicles range from saloon cars, minibuses, coaches and wheelchair friendly customised vans. The vehicles are well serviced and comply with local, national or EU transport regulations. We carefully select our suppliers to ensure consistency in quality and service standards for all our transfers and only rely on reputable and licensed transport companies. We are proud of our reputation for both quality and price along with our outstanding customer service. This corporate service provides a private, discreet taxi. This service will assist with a bilingual, licensed chauffer with a ‘meet and greet’ on arrival and check in at hotel or resort reception. This transfer service may seat up to 16 passengers in a well equipped, air conditioned mini-bus. This service includes an English speaking driver on arrival and all assistance with passenger belongings. While on a golf trip, one can pré-book all golf shuttles to and from golf courses. A vehicle to accommodate the desired number of golfers can be organized for the entire period of stay.